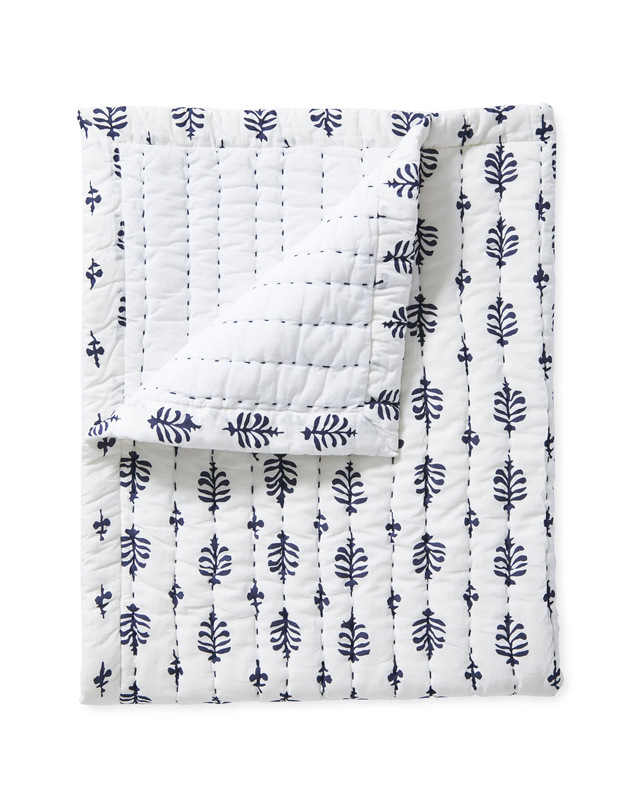 Cambria Mini QuiltCambria Mini Quilt, Navy alt="Cambria Mini Quilt, Navy"
Print We loved the original version of this quilt so much, we just had to scale it down for the nursery. Based on a vintage block print we found on our travels, this botanical medallion has a pitch-perfect handcrafted quality. The soft-as-a-cloud cotton voile lends a dreamy quality that’s supremely comfortable against baby’s delicate skin.